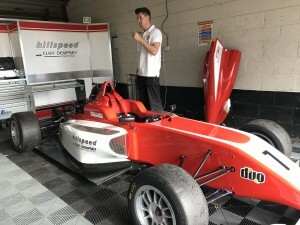 LONDON, England – Hey guys, last time I wrote a blog was just after the Formula Ford Festival, and we’re now finished with our “off week” and preparing to set off to Silverstone for our last weekend here in the U.K. at the Walter Hayes Trophy. The past week has been very eventful. Fortunately, everyone has been saying we brought the “Florida weather” here to England. I don’t think it has rained since the Thursday before the FF Festival; it’s been clear blue skies at around 14 degrees Celsius for the majority of the time. So, you could say we have had a great week to relax prior to the upcoming event at the WHT. 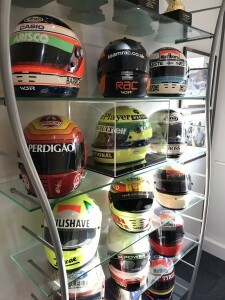 The wall of fame at WSR. The Monday after the FF Festival was really just a day to recover and catch up with some laundry. Tuesday we set off to Wirth Research and Wednesday we had a visit at West Surrey Racing, which was covered in Oliver’s latest blog. 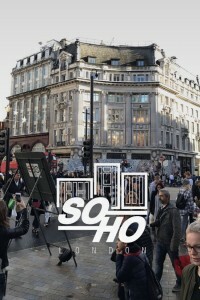 Thursday was another off day and we spent it touring some new parts of London, which included us visiting a few family-owned corner markets that we don’t get the luxury of having in the States. Meanwhile, unbeknownst to me, Oliver and a couple family friends of his were plotting a surprise to take me to a concert as a birthday present. Honestly, I’d never been to a concert before so I was a bit hesitant, but I’d have to say it ended up quite enjoyable. Skipping a day, we found ourselves in Snetterton for the BRDC F3 Autumn Trophy, where we caught up with the Cliff Dempsey Racing with Hillspeed team and watched some good close racing out of the stout BRDC F3 field of drivers. I was also able to catch up with a good friend of mine, Cameron Das, who I raced against in the F4 U.S. championship earlier this year. It’s always good to see a fellow American showing off the red, white and blue while being on this side of the “Pond”. After the races it was back to London to start preparations for this coming week. Visiting the McLaren Technology Centre. Amazing! Today (Monday) has probably been the most incredible day of our off week. 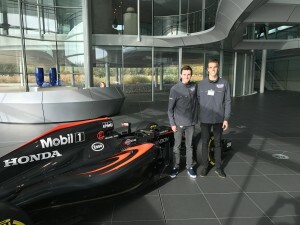 We had the honor to tour the immaculate McLaren Technology Centre where they have the F1 factory and the production line for the McLaren road cars. Neil Trundle was our tour guide for the day. If you look up Neil’s history in motor racing, he is an absolute legend. There was so much going on there that it was hard to keep track of it all. In one room there were tons of people hand-making parts for next year’s F1 car, then another room was crammed full with high-tech machines running non-stop creating mass quantities of parts. The place was amazing. But what I found most interesting were the designated area where they strength-tested every part that goes on the car and seeing how they are able to monitor each fiber of carbon that is laid all over the McLaren MP4-31 Formula One car. Overall, our week has been a dream and I know we’ve experienced things that almost no other young drivers are able to do. Oliver and I are now preparing to head off to Silverstone for the Walter Hayes Trophy where I know we’ll have just as much or more pace than we had in Brands Hatch. We both have had a day of testing at Silverstone, in both wet and dry conditions, so confidence will be high right off the bat.